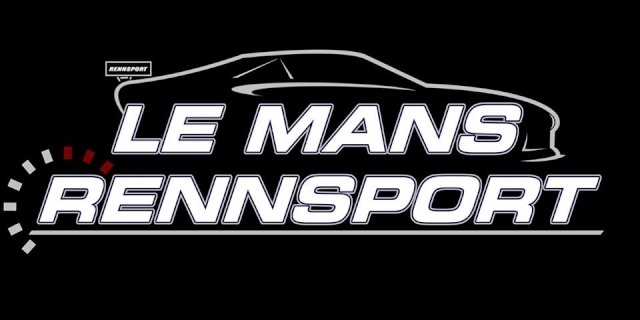 Le Mans Rennsport is always looking to expand and help people to have a better Forza Motorsports experience. For anyone looking to become part of LMR, please fill out this small application form as you would signing up for a series on TORA, VM, etc..
- Gamertag Change? : Yes I am willing to change my gamertag to LMR. - What can you bring to Le Mans Rennsport? : I spcialize in sportscar racing. Whether it be GT cars such as the Porsche 911 GT3 RSR, the Corvette ZR1 GT2, or a Le Mans Prototype machine like Lola B09. - Anything Else? : I integrate real life experience from shifter kart racing to be completely aware of your surroundings at all times. Your application will be processed and you will receive a PM via LMR or XBL from a leader. You may be asked to complete a driver evaluation also conducted by a leader. During the tryout period, do your best to get to know the team, send out friend requests, jump in some parties, just say hello! Thank you for your time and we'll see you on the track! - Driving Aids: Depends on the race. - Name: Deftone and Scantraxx know. I don't think anyone else needs to. - Past Teams: LMR, CPR, MDXR, various other non-serious teams. - Anything Else? : Tired of messing about in Playground lobbies, ready to get back into circuit racing. - Driving Aids: ABS: off, STM: off, TCS: off under R3 and above depends on car, Gears: manual w/clutch, Line: braking only. - Past Teams: BMN in the spec cup Golfs but that was a driver only championship. - Gamertag Change? : Yes I'd be willing to change. - Anything Else? : I might not be the fastest driver on TORA but I always give 100% and have fun while I'm doing it. - Driving Aids: Braking: ABS ON, Steering: Normal, Stability Control: Off, Traction Control: On, Shifting: Manual, Line: Off. but I am up to any type of racing. - What can you bring to Le Mans Rennsport? : I am a life long racing enthusiast and have American national kart racing experience from my teenage years. My talent is clean and competitive racing. - Anything Else? : Racing is my passion and I feel I would fit in well with LMR. What can you bring to Le Mans reinnnsport: I am very competitive and a clean racer and when I get my aids off I can become a much greater racer. - Where do you race? :TORA, Used to also race at FLMS. - Driving Aids: Nothing except TCS Depending on the car and braking line. - Gamertag Change? : I will. - Anything Else? : I love endurance. However I am also fine with sprint and such. - Anything Else? : 13 years old and black! - What can you bring to Le Mans Rennsport? : My time and effort. Well I mostly play forza and been playing since forza 2. It was towards the end of forza 3 when I started to race weekly in championships and stuff like that. Im not much of a tuner or a painter, racing is where I come in.. Thank you for your interest Stuart. I will copy the information to our admin area in order to discuss your application, where the heads of the team talk over what you can bring, and what we can provide you as well as the reputation behind it. Normally our main leader will process the application and talk over with you if you make it through the first stage what to expect next, but right now he is away on vacation at the Laguna raceway circuit (lucky s.o.b). So most likely i'll be the one to go through it with you. Thanks again, in the meantime please keep checking back to forums, add some of the guys and get involved, the more we know about you as a person, the more likely you'll get through. - Past Teams: AMG. PPR. HSR. - What can you bring to Le Mans Rennsport? : The end of tuning by feel..
- Anything Else? : I MOTHER-FREAKING LOVE TO COLOR!!!!! Thanks for your application Mex. Im ten minutes away....ill be there in 5! - Anything Else? : I'd be quite surprised if I make it in. Thanks for your applications guys, we are already reviewing them and discussing what we can bring to you, as well as what you can provide for us. Please be patient and we will contact you soon regarding the next stage.